Set along the Choctawhatchee Bay, Kelly Plantation Golf Club features 18 captivating holes built on the former site of a turpentine plantation. 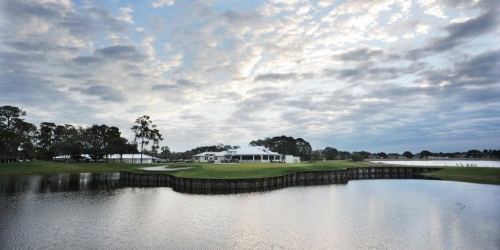 Course Designers Fred Couples and Gene Bates, formed an impressive championship golf course from the essential beauty of the land with miles of waterfront, intricate bayous and towering trees. Kelly Plantation Golf Course boasts over 7,000 yards of large contoured greens, wide manicured fairways, and an array of strategically placed hazards as well as picturesque views of the Choctawhatchee Bay. Consistently rated 4 1/2 Stars by Golf Digest. Consistently rated among the country's finest golf courses, The Resort at Longboat Key Club has earned Golf Digest's prestigious "Best Places to Play" award and continues to serve as Florida's premier golf resort. Test your skills on the tree-lined Harbourside Golf Course that runs along Sarasota Bay or the challenging links-style Islandside Golf Course that borders the Gulf of Mexico. After you conquer the greens, stop by Spike 'n Tees for celebratory cocktails and light lunch fare. Westchase Golf Club is a premium daily-fee facility recognized by the National Golf Foundation for its outstanding course conditions, service and value. The CLASP award (Customer Loyalty and Satisfaction) is given to the best of the more than 400 courses that participate in this NGF program. Westchase placed in the top ten of the national rankings and number one in the state of Florida. Santa Rosa Golf & Beach Club is the only member owned golf course and private beach club located on scenic Highway 30A in Santa Rosa Beach, Florida. Hugging the sugar-white sandy beaches of South Walton, the club spans across more than 85 acres providing members and the public with access to golf, dining and more. 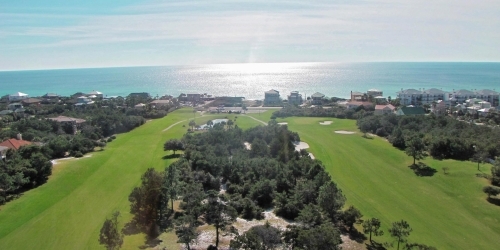 The club boasts an 18 hole, par 72 championship golf course with dining located directly on the Gulf of Mexico, Vue on 30a. Our spectacular 18-hole championship golf course was masterfully designed by 10-time P.G.A. Tour winner and world renowned golf course designer, Mark McCumber. It sits within a stunning wildlife preserve that has been sanctioned by the Audubon Society. 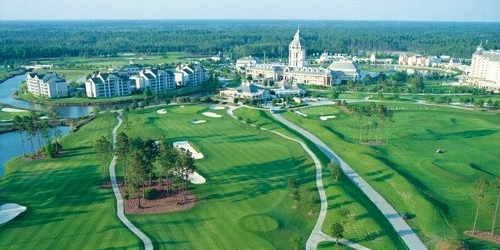 Located between St. Augustine and Jacksonville, Florida, World Golf Village is home to the renowned "King & Bear" and "Slammer & Squire" golf courses, the only resort golf courses in the world designed as collaboration between Hall of Famers - Arnold Palmer & Jack Nicklaus and Sam Snead & Gene Sarazen. As the official golf courses of the World Golf Hall of Fame in Jacksonville, Florida, these celebrated courses offer 36 holes of legendary, championship golf. Both courses have hosted professional tournaments including the Liberty Mutual Legends of Golf Tournament, a Champions Tour event, and Shell's Wonderful World of Golf, as well as other nationally televised events. Located minutes from the white sandy beaches of Panama City Beach, Bay Point Golf Resort and Spa has long been recognized as one of Florida's most popular and respected golf destinations. 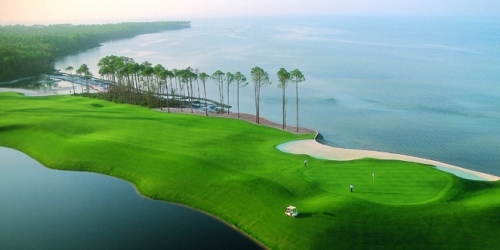 Bay Point Resort, which is nestled on an 1,100 acre wildlife sanctuary, offers a premium golf experience on two championship golf courses - the Nicklaus Course and the Meadows Course. 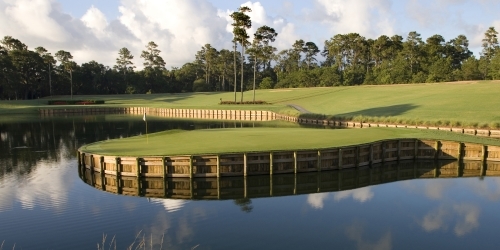 The Ritz-Carlton Golf Club, Orlando, Grande Lakes provides golfers with an experience not typically found in Florida. In designing The Ritz-Carlton Golf Club, Orlando, Grande Lakes, two-time British Open Champion Greg Norman and his team put special emphasis on preserving the area's well-balanced ecosystem, thriving with ponds, wetlands, live oaks, and cypress heads. The result is a breathtakingly beautiful course enhanced by rare natural elements. 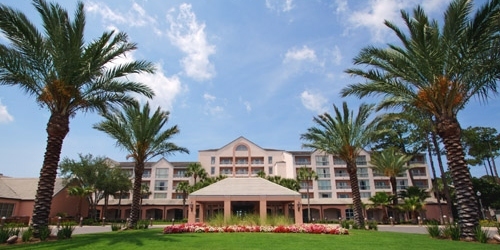 Nestled along Florida's Northeast Coast in beautiful Ponte Vedra Beach, Sawgrass Marriott Golf Resort & Spa is an indulgent getaway just south of Jacksonville and north of St. Augustine. This iconic property hold exclusive access to Tee Times for championship golf at TPC Sawgrass, including the world famous Stadium Course, home of THE PLAYERS Championship. Sawgrass Marriott is proud to unveil our multi-million dollar resort-wide renovation designed to enhance the timeless appeal of of Florida's premiere golf, spa and beach destination.